If you want to play on a Mac computer, click here. What is La vie d'Arcade? 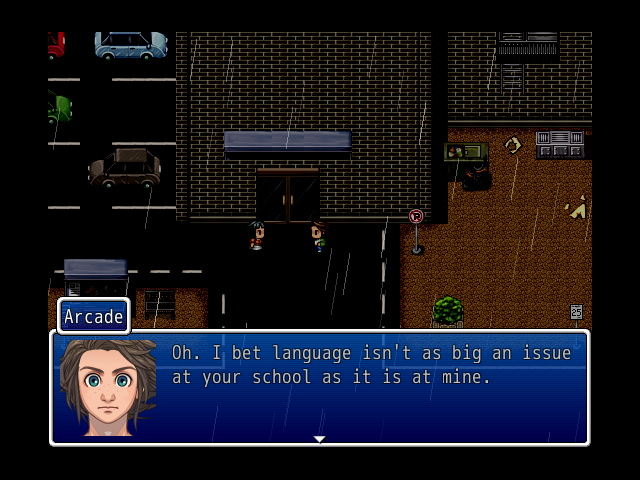 La vie d'Arcade is an interactive story that explores modern-day Acadian culture. In this single-player adventure, players take on the role of a young Acadian boy named Arcade Comeau as he discovers his identity. The download includes a short lexicon to help those who aren't familiar with the French Acadian dialect spoken in Clare, Nova-Scotia. There is also a readme document with a few notes. I've tried to make the game as accessible as possible (as long as you can read French!). Even if you don’t normally play video games, you should try it out! Click here to read about the game's launch at the World Acadian Congress! There's a great artistic critique of LVA on the website Astheure! Click here to read the critique. 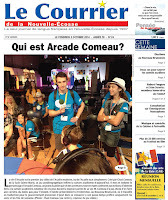 I was on the cover of the Courrier de la Nouvelle-Écosse (Marc à Paul à Jos style)! Click here to read the article. I've also done radio interviews on Le Réveil de la N.-É. and Le Réveil de l'Î.-P.-É. on Radio-Canada, on Radio jeunesse des Amériques and on Le Glitch with Gérard Connolly. I was invited to contribute to the Comatose podcast. Click here to listen! 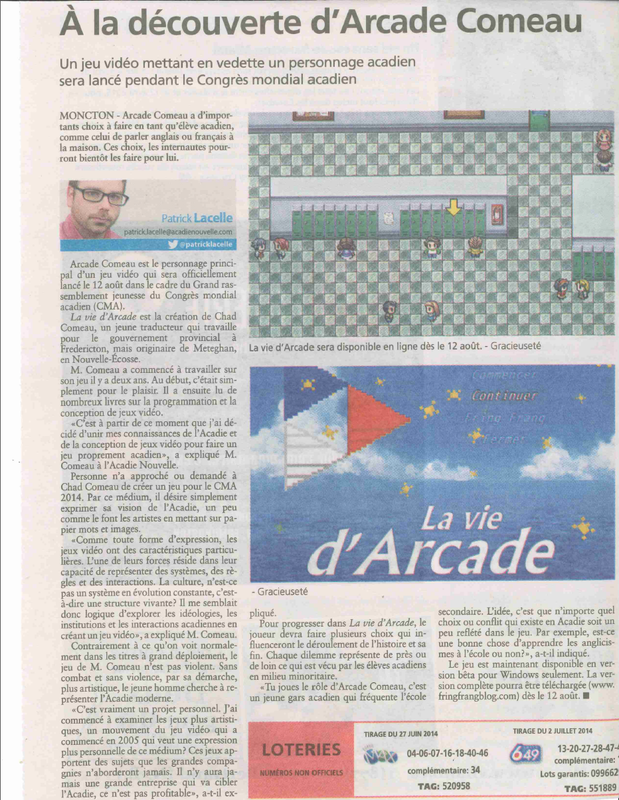 There is an article about my game in the September 2014 edition of l'Info-Lien. Click here to read the article (it's on page 20). 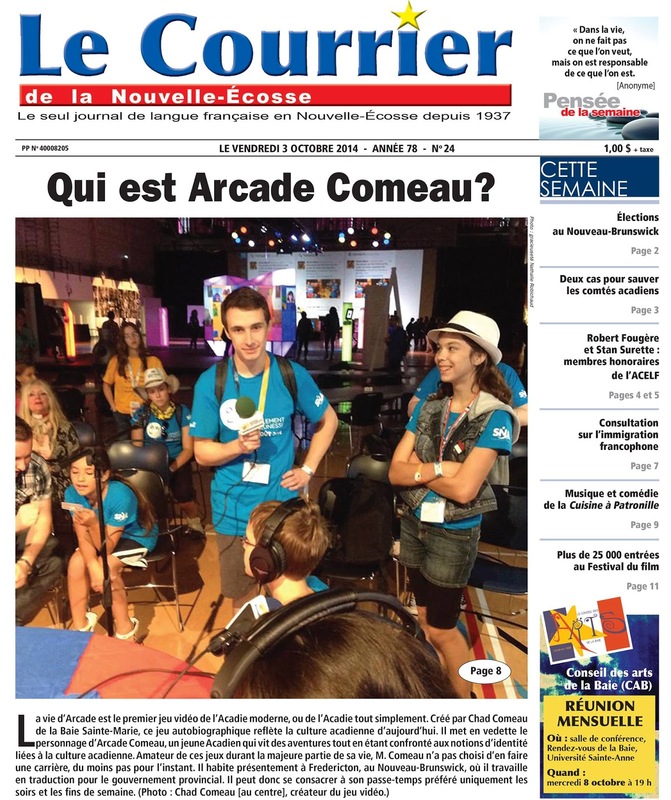 There is also an article about LVA in the July 4th, 2014 edition of l'Acadie Nouvelle! Click on the image to enlarge. I had the chance to do an interview/let's play with Monsieur Ouellet. It was really fun! Check out the video if you want an idea of how the video game works.